Need To Hire Glass Display Cabinets For Your Next Exhibition? What Size Cases Are Available? 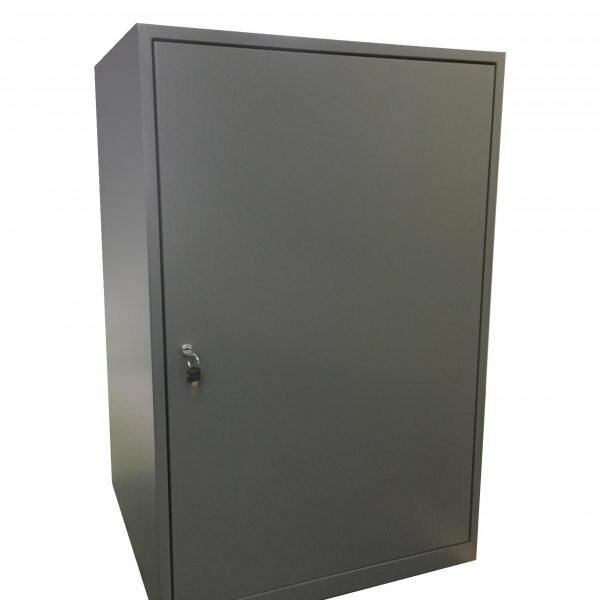 Lockable Glass Doors – The doors on the rear of the hire glass display cabinets, and the internal storage of the plinths are all lockable and individually keyed to our hire cabinets. This means that no other keys are keyed the same as these cabinets. Two keys are provided per lock for your exhibition or event. Minimalist Fixings – Smooth and incredibly small stainless steel swing hinges are just 20mm in diameter ensure that the cabinet retains it’s contemporary look. The glass is UV Bonded, which means that there are no aluminium frames around the edges of the cabinets. 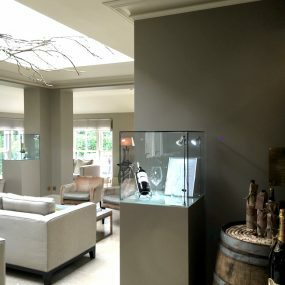 Lighting – Lighting is provided as standard in our glass display hire cabinets, there are two lights per cabinet, one per stalk in the front corners. There is a wide range of bulbs available depending on the type of product you are displaying in the cabinets. Our regular bulbs are 3000K which is best for gold jewellery or gemstones in medium hues. We have high power LED lighting which is best for silver and diamond jewellery. The sealed lead acid batteries provide 49 hours of ‘on’ time. The benefit of the battery powered lighting is that all the cables and wires are stored inside the plinth and they can be placed anywhere in a room as there needs to be no power consideration. We can provide chargers for the batteries, or extra long life batteries if you need more than 49 hours. Clicking the cabinet size you would like will take you to our online shop where you can see the external and internal sizes of the cabinets, including the material specifications. Can I Hire A Different Size? Currently our stock consists of the three size cabinets mentioned above. If you would like a specific size we would be more than happy to assist you by filling in our bespoke custom display form which we can make any shape or size glass display case for customer purchase. If you need branding applied to your plinths, we have a variety of options available. We have over 70 colours of vinyl in stock which we can contour cut and apply to your plinths. If you require a full vinyl wrap, please attach your artwork for quotation (as per image on the right). Who has hired from you previously? Apple, The Royal Mint and Selfridges are three of the many happy returning clients we have rented to in the past. For a more comprehensive list please see our Client List. How Many Do You Keep In Stock? If you would like to hire more than we have in stock at one time we are more than happy to order more for you. However, there is a 4 week lead time on cabinet creation so please make sure that you make your request known in good time! 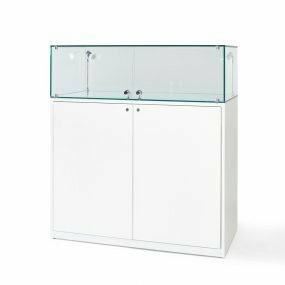 Standard delivery – The glass display cases and plinths will be delivered to your location on a Thursday between 12 noon and 5pm. The cabinets will be wheeled into position and set up with their battery powered lighting system. 9am Delivery – We can guarantee that our team will be at your delivery destination by 9am. 5pm to 8pm Collection – Your display cases can be collected between 5pm and 8pm by our evening team. Weekend or out of hours (pre-9am or post-8pm) – We offer a weekend and out of hours courier service for your event if storage space is not available.